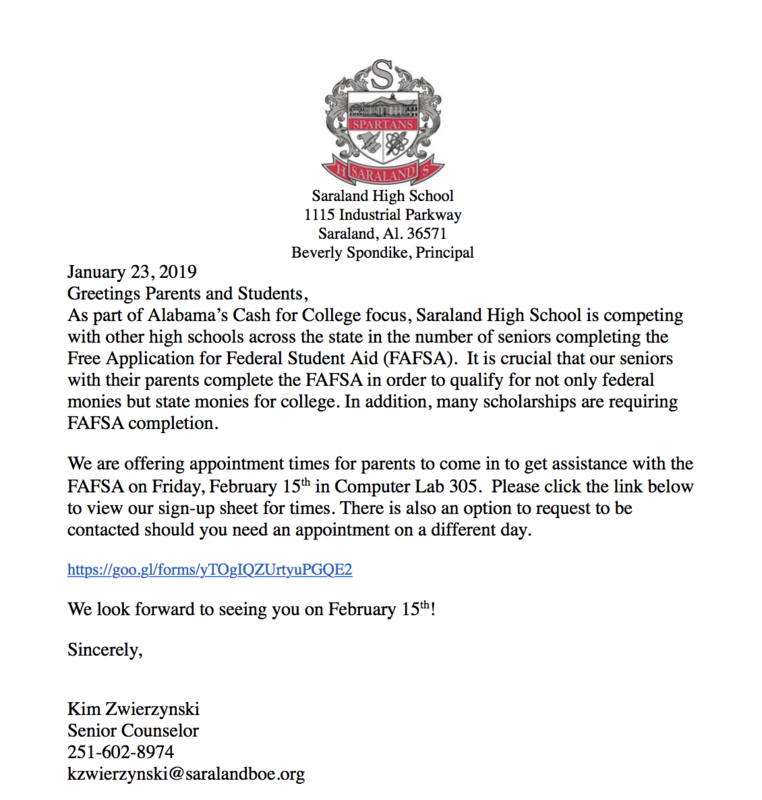 FREE Application for Federal Student Aid (FAFSA) February 15th in Lab 305 at SHS for Parents & Seniors. – See letter below. Click Here to sign-up for a time slot!